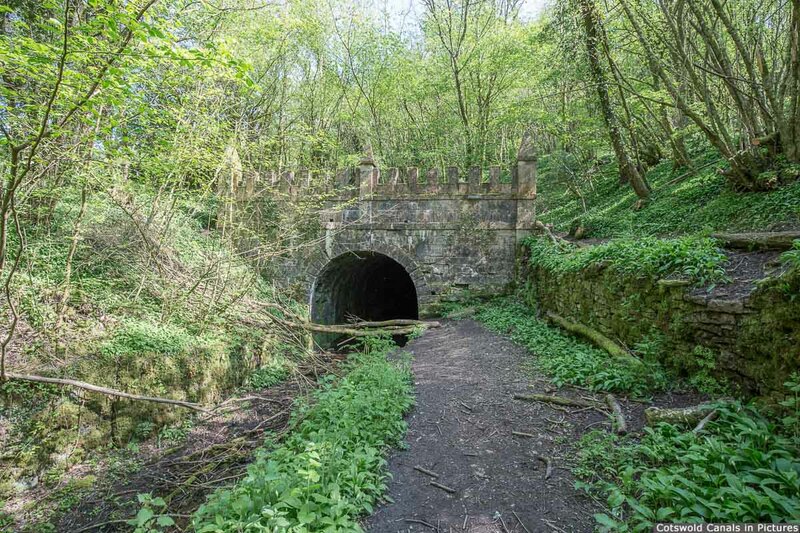 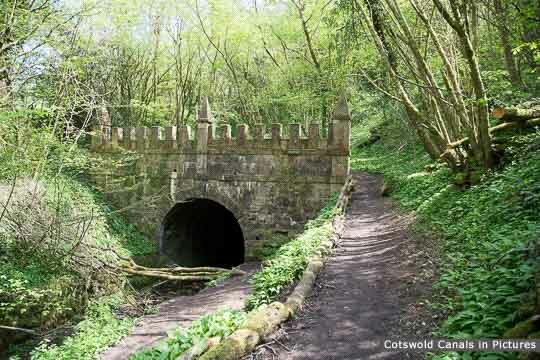 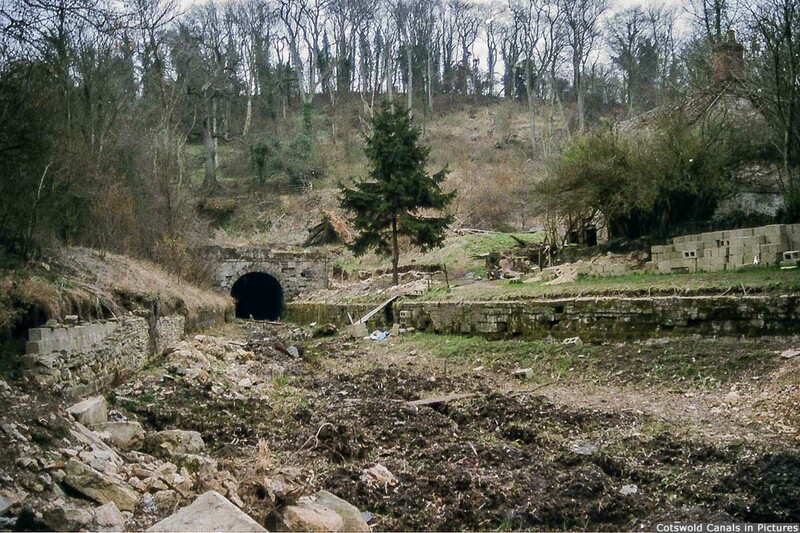 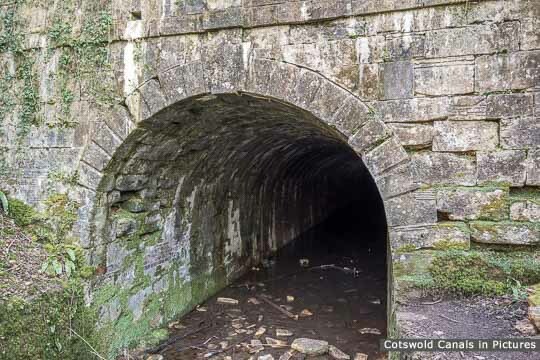 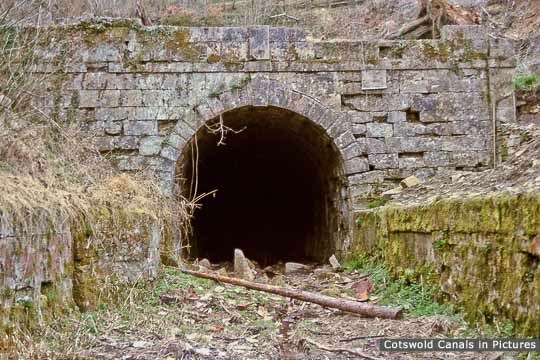 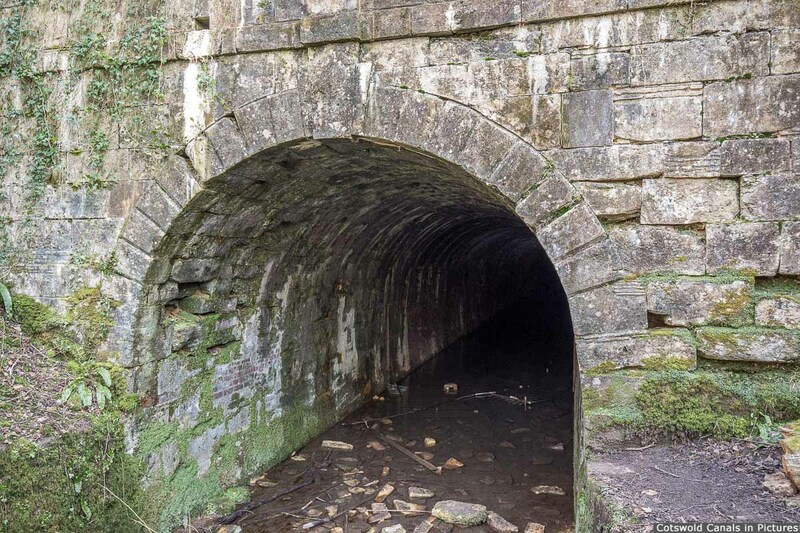 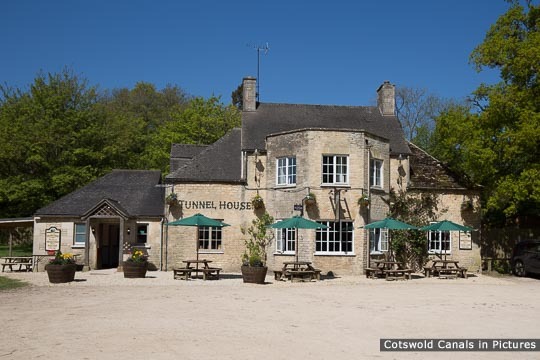 The Daneway Portal of the Sapperton Canal Tunnel was restored by the Cotswold Canals Trust in 1996. 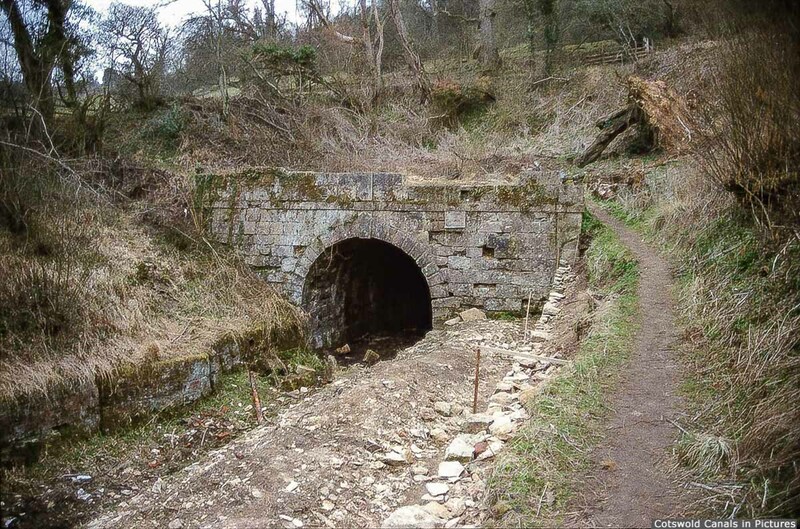 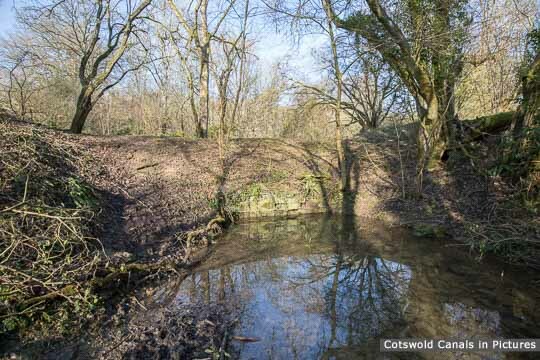 Several retaining walls in the vicinity of the tunnel portal and in the canal itself were also rebuilt by Canal Trust volunteers in the 1980s. 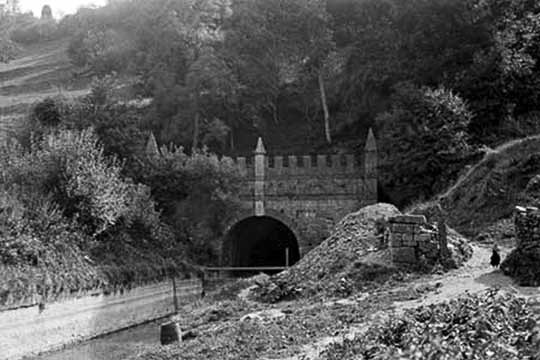 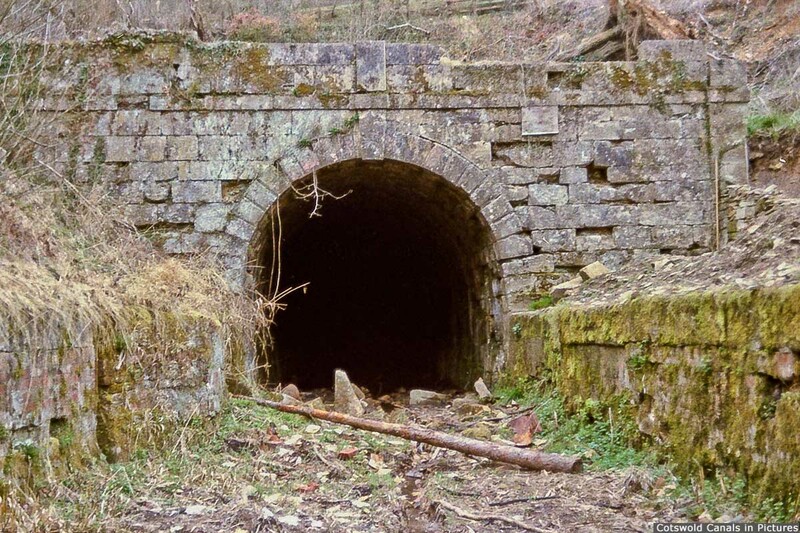 More information on the tunnel itself can be found here. The original cast iron plate for ths milestone has survived and is in the care of the Cotswold Canals Trust. 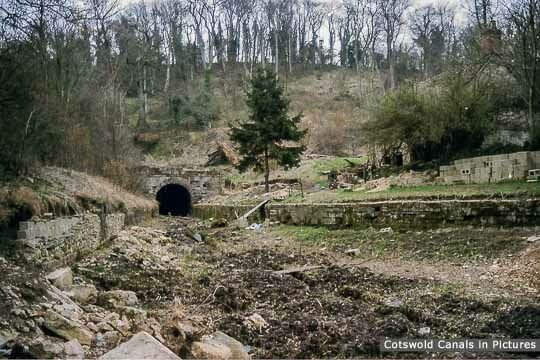 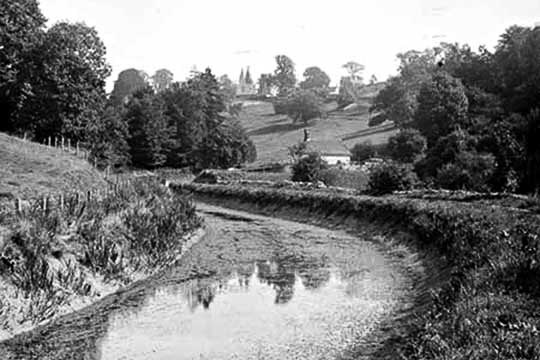 To see a photo of this plate, and for more information about the milestones of the Thames & Severn Canal visit the CCiP milestone page. 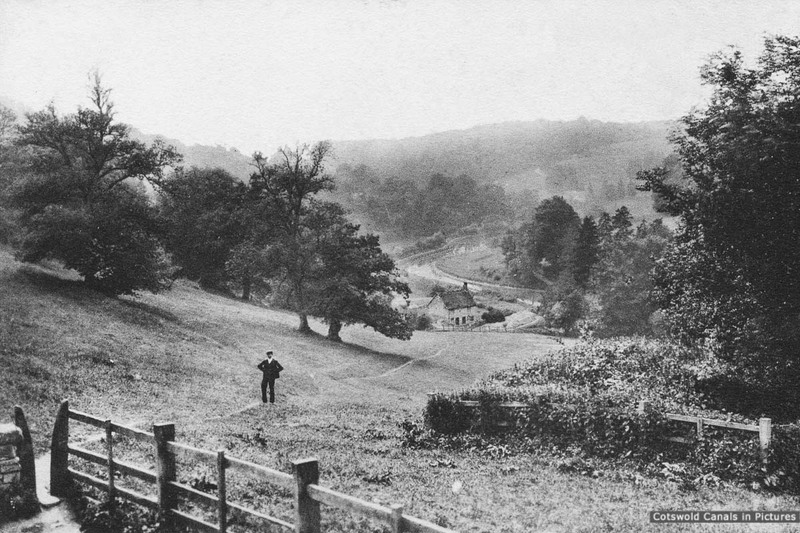 Note the lengthsman's cottage in the middle distance and Sapperton Church on the hillside. 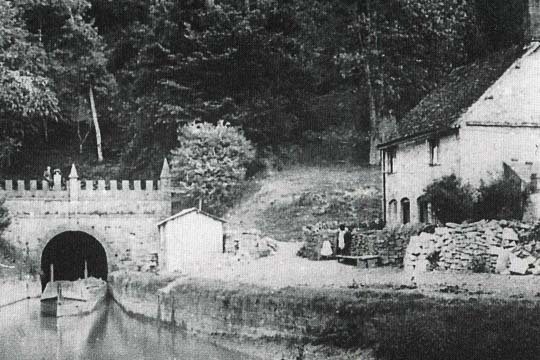 This view also shows the lengthman's cottage next to the tunnel entrance. This cottage fell into disrepair and was demolished in the 1980s.